It’s true that every area of life is full of ebbs and flows and one place where these ebbs and flows are the most noticeable is in our health. We may have times of feeling great and then times where we’re fighting off illness. At Collins Chiropractic, we like to focus on whole-body wellness so that you can lead a robust life… but we know there are times when even the healthiest people must endure the storm of illness. These “health storms” are often associated with the feeling that our immune systems have failed us or that we have failed in taking good care of ourselves but this just isn’t true. Healthy immunes systems must respond to invading pathogens and illness is the way it happens — coughing, sneezing, fever, mucous, and even vomiting and diarrhea are all uncomfortable but, during an illness, are signs of a healthy immune system responding to an invader. Too often we use medications to stop the storm — fever reducers, decongestants, diarrhea stoppers… just so we don’t have to endure these uncomfortable, but necessary, body responses. Imagine what it would look like to just weather the storm without trying to calm it. Maybe it would be better if we took the message from our bodies and tried slowing down, resting, and drinking lots of fluids before we run to the medicine cabinet. 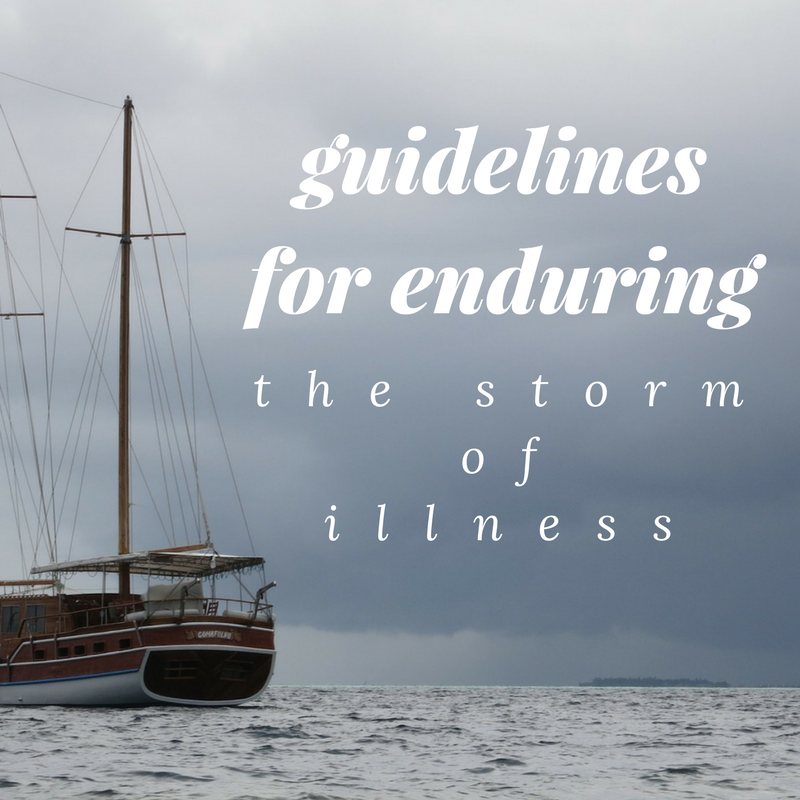 Just like stormy weather, health storms can be a good thing. We are intelligently designed with an amazing immune system that intuitively knows how to attack invading pathogens. But our bodies need practice against illnesses such as colds or the flu so that when we come up against the really tough stuff like MRSA or tuberculosis we have an immune system that already knows how to fight. We would never send a young soldier into battle without first sending them through basic training, right? Flus and rhinoviruses are our immune system’s basic training, preparing us for the big fight with superbugs. Rest, rest, and more rest — our bodies need as little stress as possible so it can attack the pathogen. To do this, we have to let our bodies have all of the energy we would normally expend on other things. 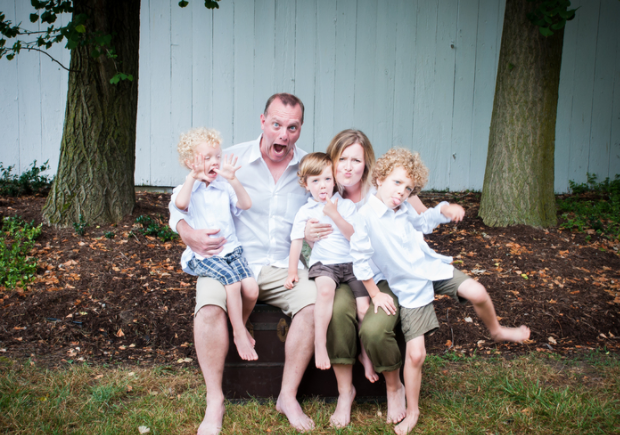 No storms on this day… just us being really silly! As important as riding out the storm is what we do between the storms to stay healthy and prepare for the next one, which could be the “big one”. How do you care for your body? Do you drink enough water, treat yourself to nutritious food (remember, our cells are literally built from what we eat!)? Do you get adjusted to keep your nervous system working properly? If you are subluxated, your brain cannot communicate well and direct the rest of your body so get checked by your chiropractor! Preparing between storms is very important. 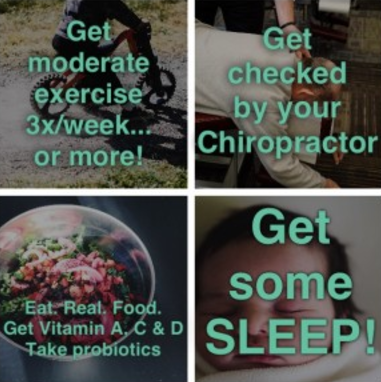 Think of three quick and easy changes you can make today that will help you get and stay prepared for the next health storm. Now is a great time to add these to your daily routine and get ready for any rough seas that lie ahead. Just in case you can’t think of three things, we thought we’d help you along! By taking charge of your health, you can better weather the storms and enjoy a big, healthy life in between.